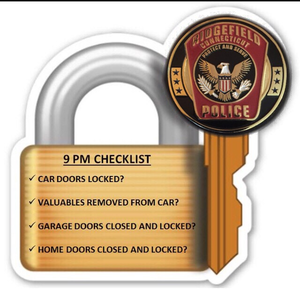 Ridgefield Police would like to remind residents to please lock your vehicles and remove the keys! According to police, a vehicle was stolen from a driveway in Casagmo near Main Street during the overnight hours of 2/2-2/3. "Make locking your vehicle part of your nighttime routine!" police say.